MBS, Landyachtz, and Onda have skateboards and longboards that are designed for fun and cruising. 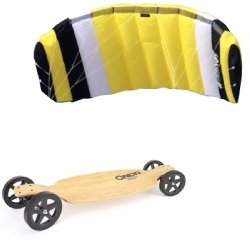 They are perfect to match up with a small trainer kite for cruising on the sidewalk or parking lot on those light wind days. 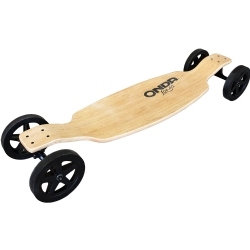 The ONDA LONGA is the evolution of our previous boards. It is the most versatile longboard; great for cruising and carving as well as land-paddling and kite-skating. Its 7" inch wheels with flat profile and sharp edge tires provide a smooth glide and excellent grip to the ground surface. This model is great for beginners and experts alike. Land paddling is the most recent innovation in longboarding. 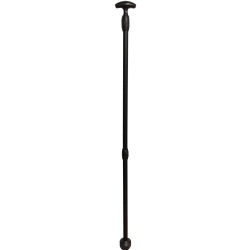 Whether you're doing downhill rides, cross country, or just boardwalk cruising, the Onda Land Paddle stick will give you much more control, letting you go further and faster while providing you with an excellent workout. The paddle's spherical elastomer base makes it easy to use since you don't need to worry its orientation. The paddle provides excellent grip to paddle forward and can also be used as an effective brake by dragging it.